The incidence of cyber threats on the democratic process poses an increasing international risk to electoral integrity. While some of the new technology threats are familiar — fake news, propaganda, theft of information – others remain outside of the discourse. Additionally, the scale, speed, reach, ease, and sophistication of potential attacks is unprecedented. The Public Policy Forum will bring together experts for a panel discussion on what needs to be done, what is being done and what you can do to counter these digital-based threats to democracy. 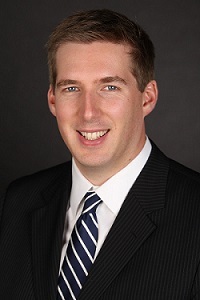 Scott Jones is the Assistant Deputy Minister of the Information Technology Security program at the Communications Security Establishment (CSE). 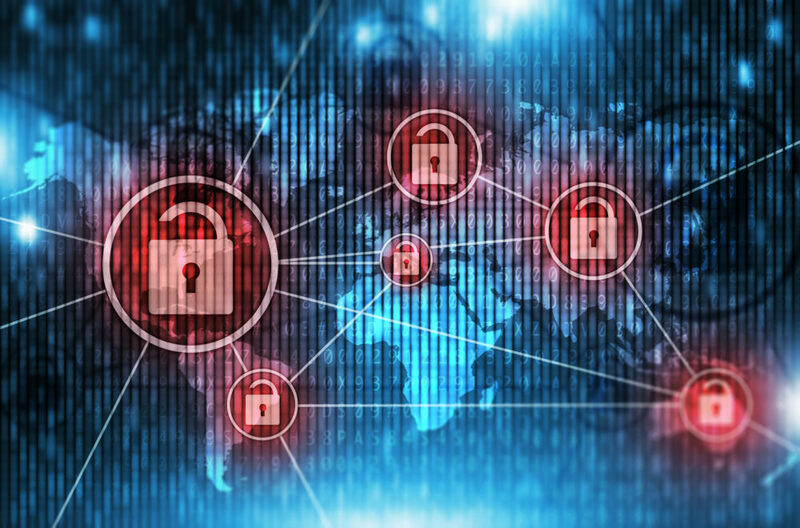 The IT Security program is responsible for providing cryptographic solutions that protect the most sensitive information of the Government of Canada, providing security advice and guidance on the next generation of technology, building relationships with industry to increase security and actively defending against malicious cyber activity. Scott has held various positions across CSE including as the acting ADM of Corporate Services and Chief Financial Officer, Director General of Cyber Defence and a variety of positions of increasing responsibility across CSE, primarily in the Signals Intelligence and IT Security Domains. He was previously seconded to the Privy Council Office as a National Security Policy Advisor in the Security & Intelligence Secretariat. Scott holds a Bachelor of Applied Science in Electronic Systems Engineering, a Bachelor of Science in Computer Science, and a Masters of Business Administration. Critic, advocate and academic Elizabeth Dubois can be found researching the triad of digital media, influence and politics as an Assistant Professor at the University of Ottawa. A graduate of the University of Oxford’s Internet Institute, Elizabeth works to understand how technology may be leveraged to increase democratic accountability and engagement. Collaborating with non-profit organizations, technology companies, journalists and academics internationally, Elizabeth’s work is action oriented. From running an online “Vote Savvy” survey that doubled as a voter information tool in the 2015 federal election to writing op-eds, she aims to make her work accessible. She also consults for technology companies and non-profit organizations. Jan Neutze leads the Microsoft Cybersecurity & Democracy Team at Microsoft Corp in Redmond, WA which brings together a group of policy, legal and technical experts focused on defending democratic processes and institutions against cyber-enabled interference. In addition, Jan leads Microsoft’s efforts on protecting societies from cyber conflict, including by advancing a Digital Geneva Convention, working with governments and non-government stakeholders around the world. From 2013 to 2017, Jan built up and managed Microsoft’s cybersecurity program in Europe, Middle East, and Africa (EMEA). In that role Jan lead a team of policy and technical experts based in Brussels, Belgium with a focus on cybersecurity policy and regulatory issues as well as a range of strategic projects aimed at managing geopolitical risk. Jan has served in a range of advisory roles on cybersecurity policy issues, including the Permanent Stakeholder Group of the European Network and Information Security Agency (ENISA) from 2015-2017, advising the EU agency’s leadership; as well as the Global Commission on Cyber Stability (GCSC) for which Jan serves on the management board. 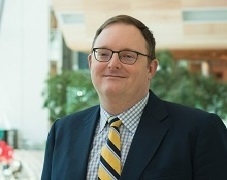 Prior to taking on Microsoft’s EMEA cybersecurity portfolio, Jan worked in Microsoft’s Trustworthy Computing (TwC) group at Microsoft headquarters focusing on cybersecurity public policy and cybersecurity norms, as well as engaging with partners from government, international organizations, and academia. Jan joined Microsoft from the United Nations Headquarters where he served for three years in the UN Secretary-General’s Executive Office and in the Department of Political Affairs, leading a range of cybercrime and counterterrorism projects. Prior to his work at the UN, Jan managed transatlantic policy projects at the German Marshall Fund of the United States and the Atlantic Council of the United States. Jan is a Certified Information Systems Security Professional (CISSP) and a Certified Information Privacy Professional (CIPP) and holds a J.D. from the University of Muenster, Germany as well as an M.A. from the School of Foreign Service at Georgetown University in Washington, DC. Professor Michael Pal researches primarily the law of democracy, comparative constitutional law, and election law. He publishes in law, political science, and public policy. He is currently the Director of the Public Law Group at the Faculty of Common Law. He is currently working on projects related to voter suppression, electoral management bodies, election administration in democratic transitions, and democratic theory. He has advised all levels of government on matters relating to election law and constitutional law, as well as election commissions and electoral boundary commissions. 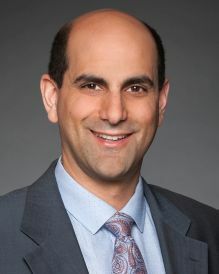 As Director of the Public Law Group, he oversees the activities of the Group and has recently co-organized conferences on electoral reform, non-resident voting rights, and the Group’s Speakers’ Series and Works in Progress seminars. 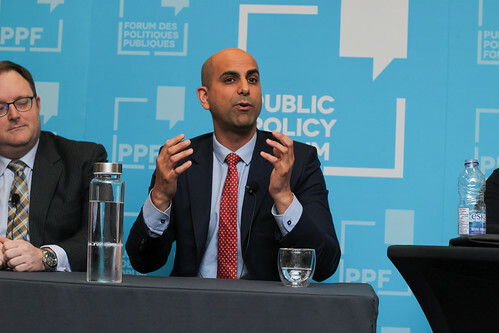 Professor Pal is also a Fellow at the Mowat Centre for Policy Innovation in the School of Public Policy and governance at the University of Toronto. In 2017 he served as a Commissioner with the Far North Electoral Boundaries Commission for the Province of Ontario, whose recommendations to add two new seats and to create the province’s first Indigenous-majority riding and second francophone-majority riding were adopted by the Legislative Assembly of Ontario. He has degrees in political science from Queen’s and the University of Toronto and in law from the University of Toronto and NYU. While completing his doctorate, he was a Pierre-Elliot Trudeau Foundation Scholar and a SSHRC Canada Graduate Scholar. 5:30 p.m. - 5:40 p.m.
5:40 p.m. - 5:50 p.m.
5:50 p.m. - 6:40 p.m.